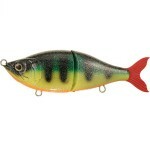 This is a smaller jerkbait from Swedish RoNo Baits. Winna is only about 11 cm long and weighs 50 gr. 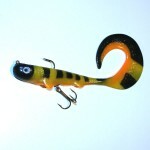 Hand made and hand painted this lure just looks the part! Possible to both jerk with short taps but also with a regular retrieval. 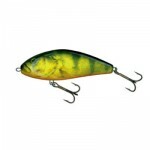 Winna is a really nice bait and very easy to both cast and fish. Category: Featured, Jerkbait, Lure Videos, and RoNo Baits.